Greetings! 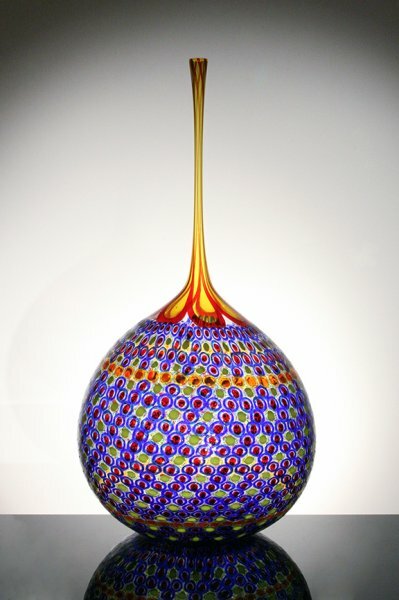 Here are some beautiful glass sculptures to brighten your day after the solar eclipse. I’ll be happy to hear from you with any comments or questions you may have. Enjoy the rest of your summer! I chose this beautiful Lino piece on a visit to Seattle earlier this year. The organic shape is complemented by a beautiful color palette and enhanced with delicate surface cutting. 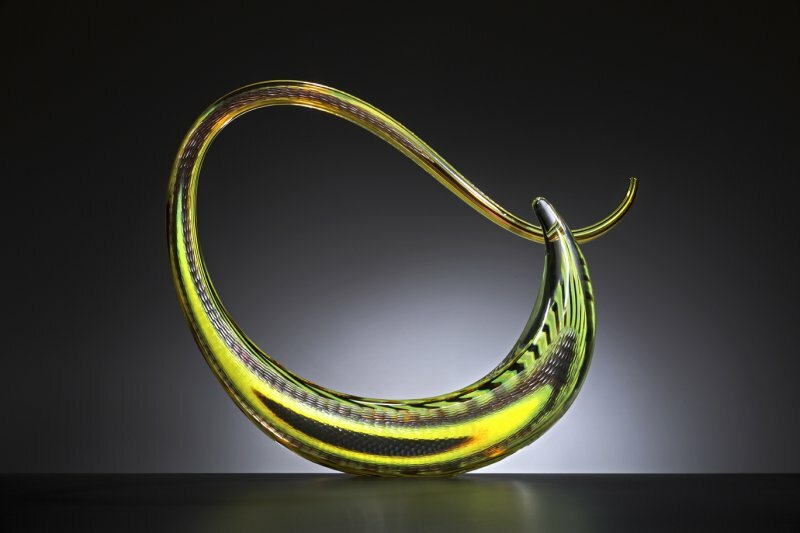 Fenice by Lino Tagliapietra, 19" x 22.5" x 11"
I love this blown glass sculpture by David Schwarz. 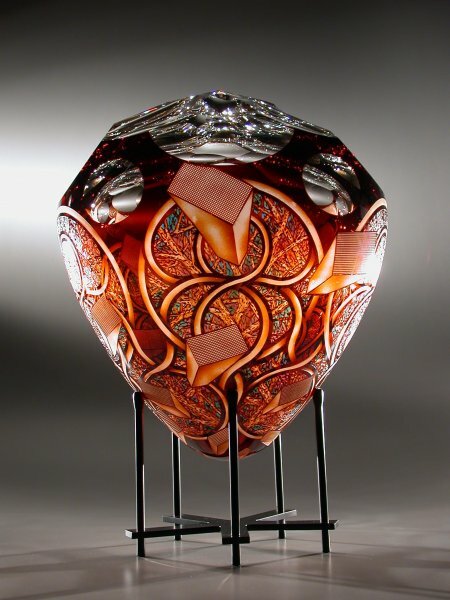 The graphic designs engraved on the surface seem to dance around on the inside of the piece as one views it from various angles. The buttery copper color is wonderfully rich. 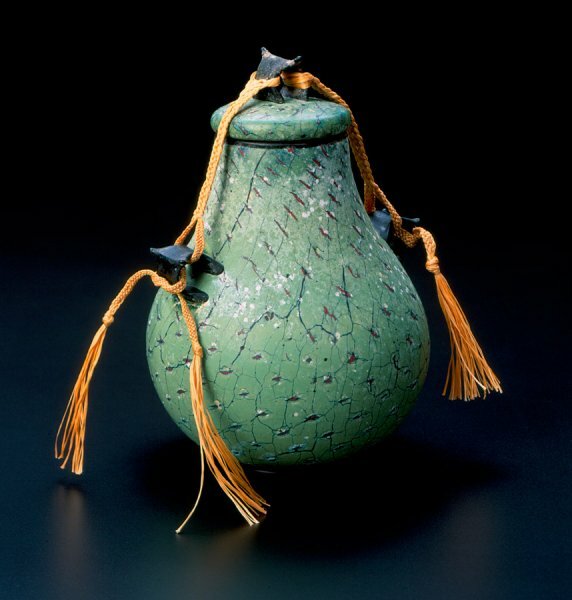 I have always found the Cinerary Urn series to be very attractive. It is more stylized and decorative than any other Morris series I can think of and it has a refined elegance that to me is very Asian, and more specifically Japnanese. Cinerary Urn by William Morris, 12" x 9"
by Martin Rosol, 16" x 17" x 5"
This is the first new Martin Rosol piece I have had for quite some time and it was well worth the wait. The simplicity and economy of the form belies an understated sophistication that only comes from decades of working with cold glass. Many of you will recognize that this is one of Stephen’s earlier creations and I am featuring it here because I think it is extraordinarily beautiful both in colors and in its intricate murini work. Thanks for taking a few moments to share some beautiful art. I look forward to staying in touch.